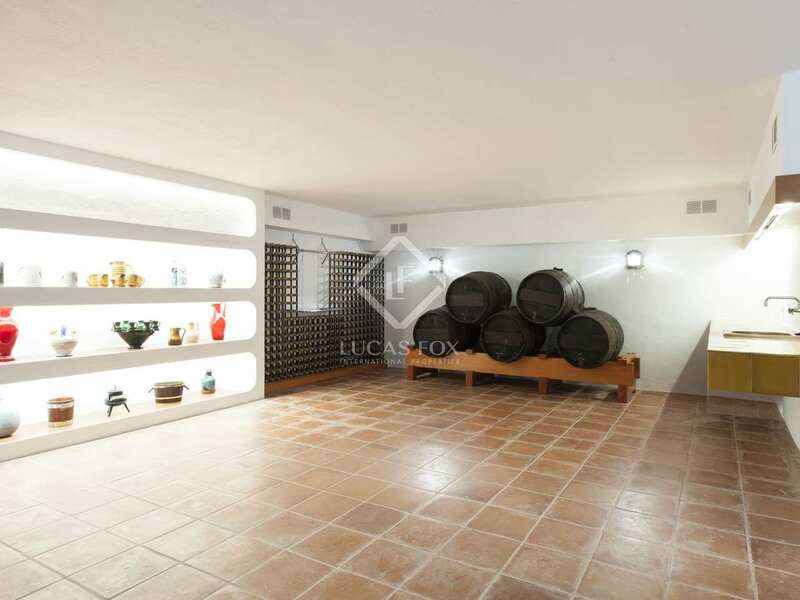 This completely private, peaceful property was constructed in 1981 and is a traditional Spanish villa from that period. 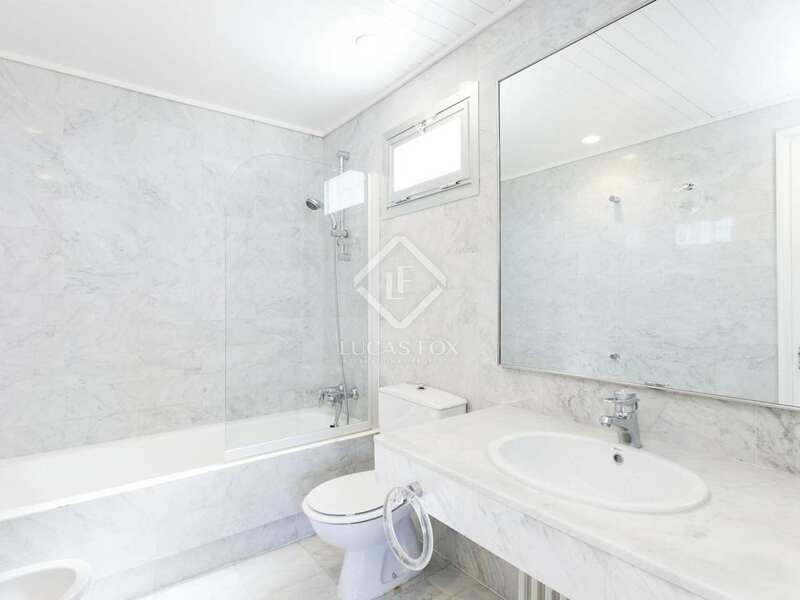 It offers 4 double bedrooms with en-suite bathrooms, 1 single bedroom and 1 staff bedroom with a bathroom. 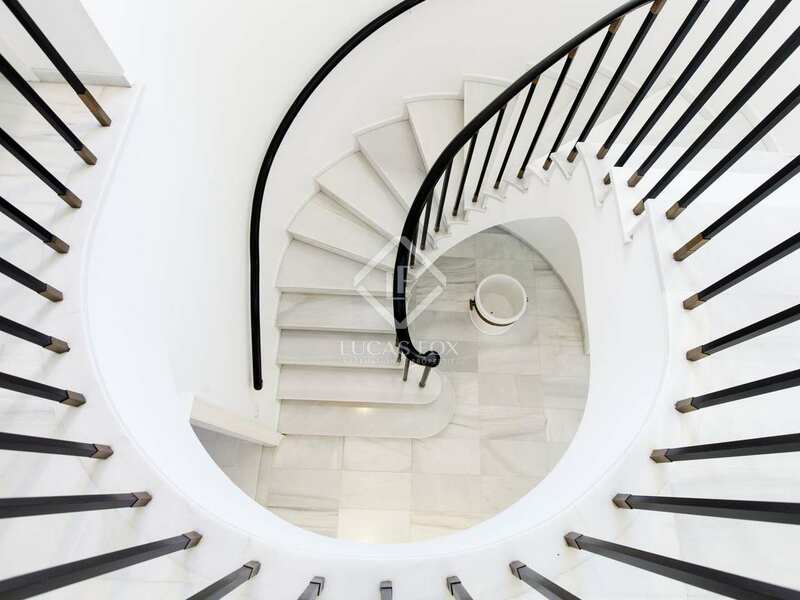 There is marble flooring throughout and a central fireplace and beautiful spiral staircase add character and charm to the property. 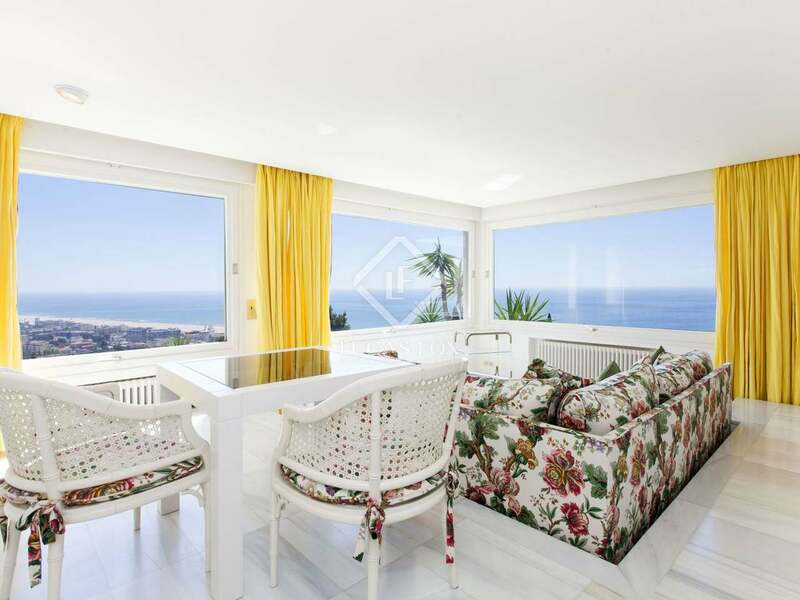 The house is very spacious and finished with high quality materials and only requires light renovation and updating to create a sensational exclusive beach villa. 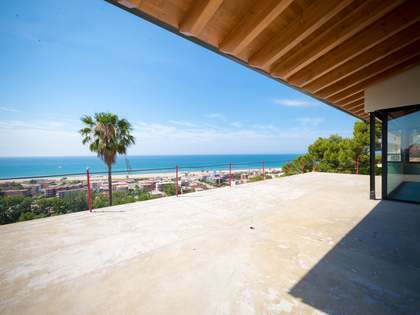 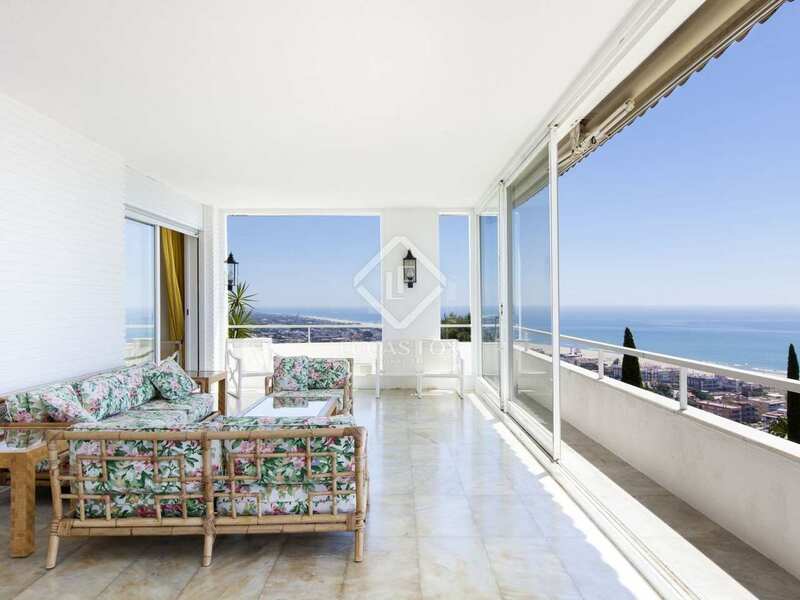 The entire house boasts spectacular panoramic sea views (from El Prat de Llobregat to Sitges), overlooking the beach of Castelldefels and Port Ginesta. 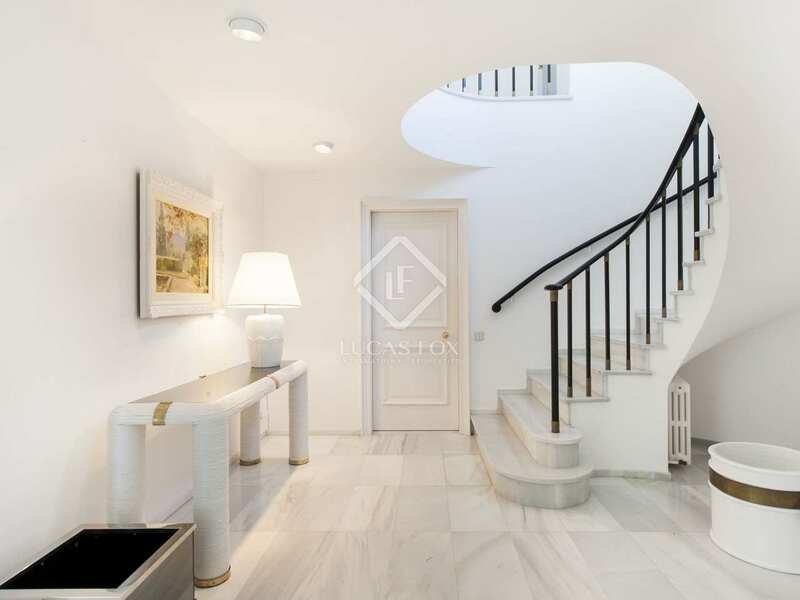 In front of the entrance of the house there is a covered parking area for 4 cars and the entrance to a garage for 1 car, and there are 2 additional large garages with entrance on the street below the property (suitable to 4-6 cars). 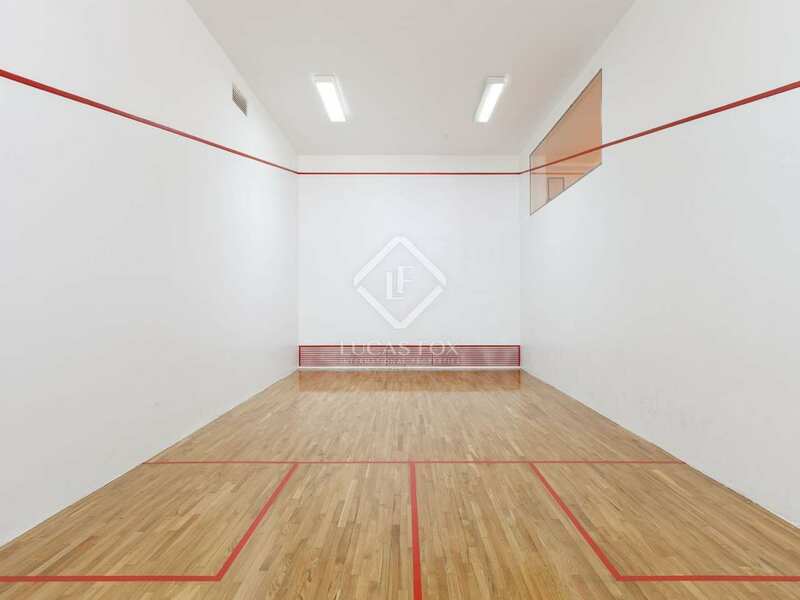 In the basement of the villa we find a wonderful, large bodega and an indoor squash court. 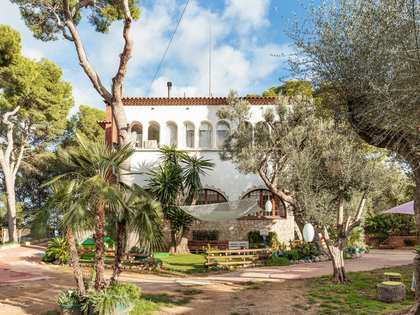 Behind the house there is a generous flat garden, with a large swimming pool overlooking the Mediterranean Sea. 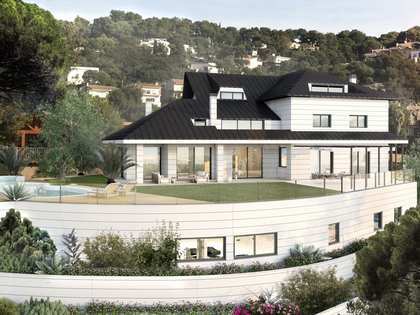 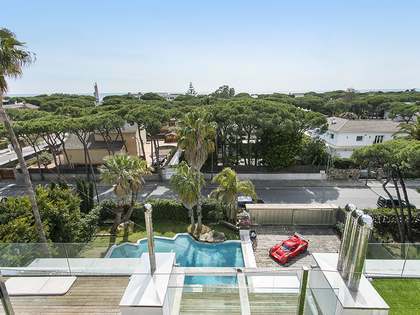 This property is in one of the most sought-after areas of Castelldefels, on one of the best plots of the exclusive Bellamar residential area with famous neighbours such as Messi, Suarez, Gasol. 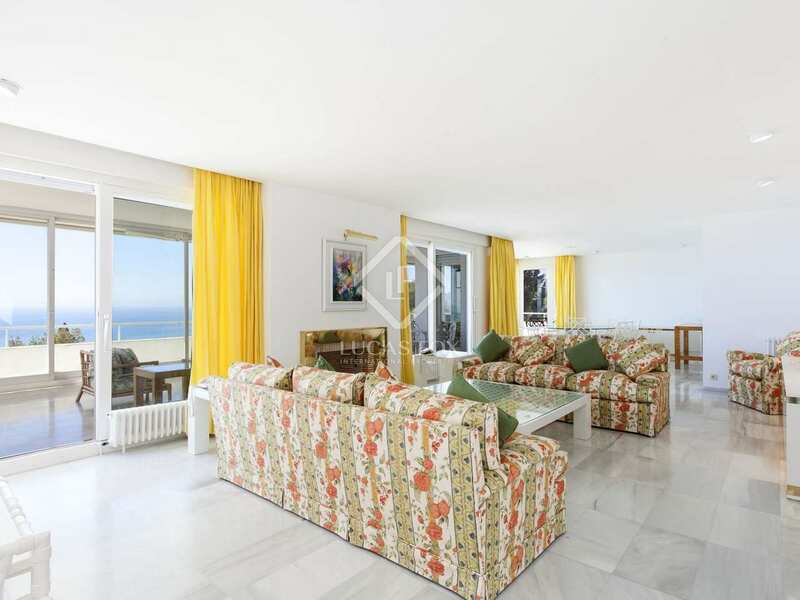 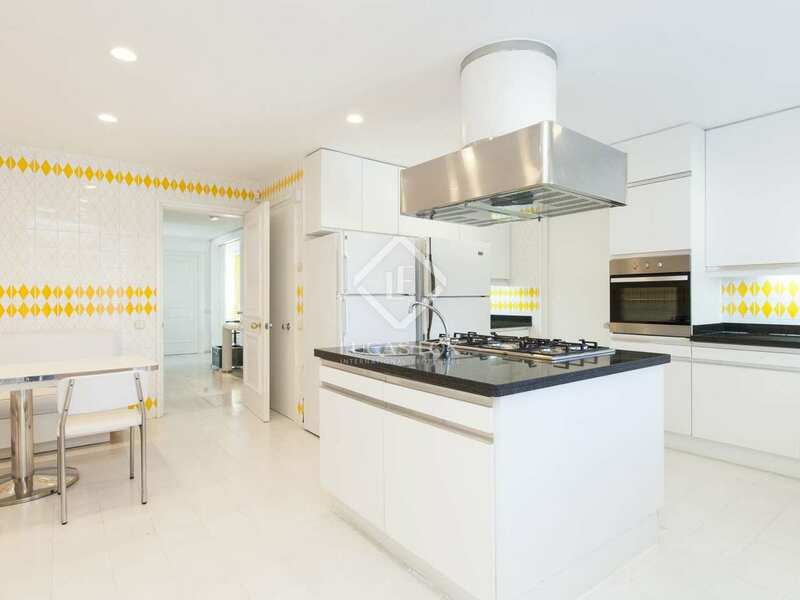 Property located in one of the most sought-after residential areas in Castelldefels, the Bellamar area. 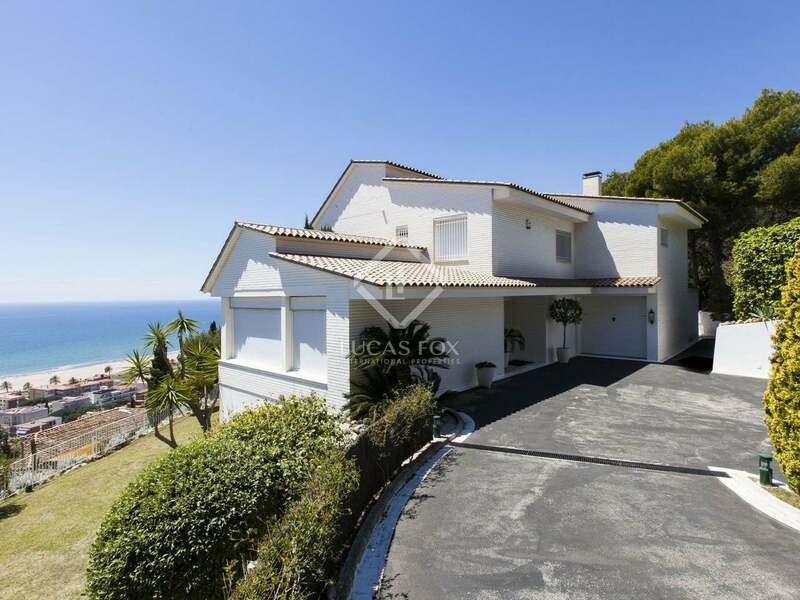 Just a 5-minute drive to the beach of Castelldefels.